A new Windows 10 laptop has been made available this week in the form of the T-bao Tbook X8S Pro Notebook which is now available to purchase from the likes of Geek Buying priced at $310 offering a considerable saving of the recommended retail price of $440. The T-bao Tbook X8S Pro Notebook is equipped with Intel Celeron J3455 quad-core Apollo Lake processor @ 1.50 / 2.30 GHz supported by NVIDIA GeForce 920M @ 954 MHz with 2GB RAM and 6GB of DDR3 RAM. Storage is provided by 128GB eMMC flash or M.2 SSD and can be expanded further by using the handy microSD card reader. The display on the laptop takes the form of a 15.6″ IPS screen offering users a resolution of 1920 x 1080 pixels. 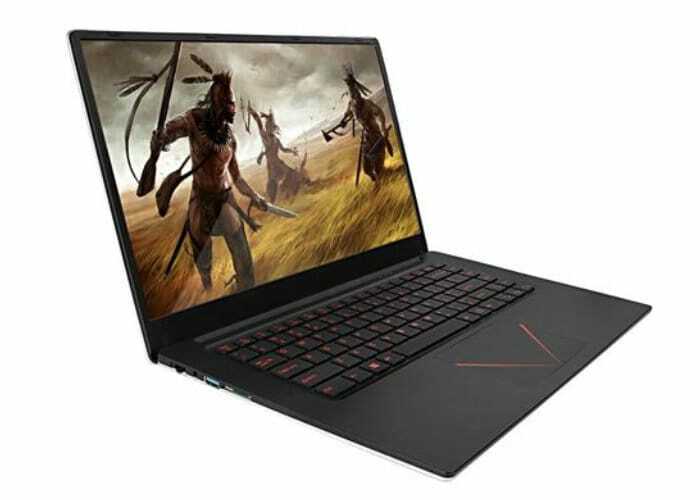 Reports on the laptop include 2 x USB 3.0 ports, 1 x USB type C port, Gigabit Ethernet, HDMI together with the obligatory 3.5mm audio jack, microphone and stereo speakers. Connectivity is provided by support for both dual-band 802.11b/g/n/ac WiFi and Bluetooth 4.0 technology. The laptop is equipped with a 9,000mAH Li-ion polymer battery and is fitted with a two-megapixel front facing camera. The laptop comes supplied pre-installed with Microsoft’s latest Windows 10 operating system and sports a super slim bezel and thin form factor design. For more details and full specifications jump over to the websites below.